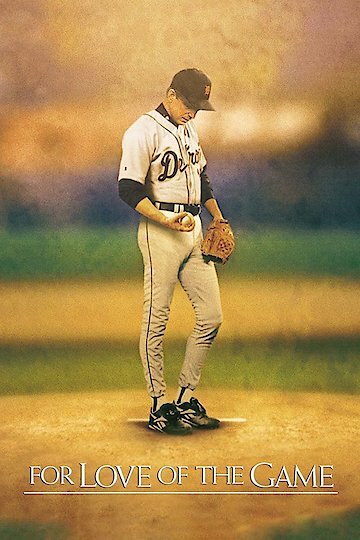 This 1999 sports drama stars Kevin Costner as a major-league baseball pitcher who falls into a reverie about his past as he pitches his final game. The film falls into flashbacks as Costner's character remembers the ups and downs of his relationship with a single mother who has been with him during the toughest parts of his career. The film is based on the novel of the same name by Michael Shaara, and the screenplay was adapted from the novel by Dana Stevens. Sam Raimi (Evil Dead) directed the film, and Kelly Preston, John C. Reilly, Jena Malone and Brian Cox co-star. For Love of the Game is currently available to watch and stream, download, buy on demand at Amazon Prime, Amazon, Vudu, Google Play, FandangoNow, iTunes, YouTube VOD online.